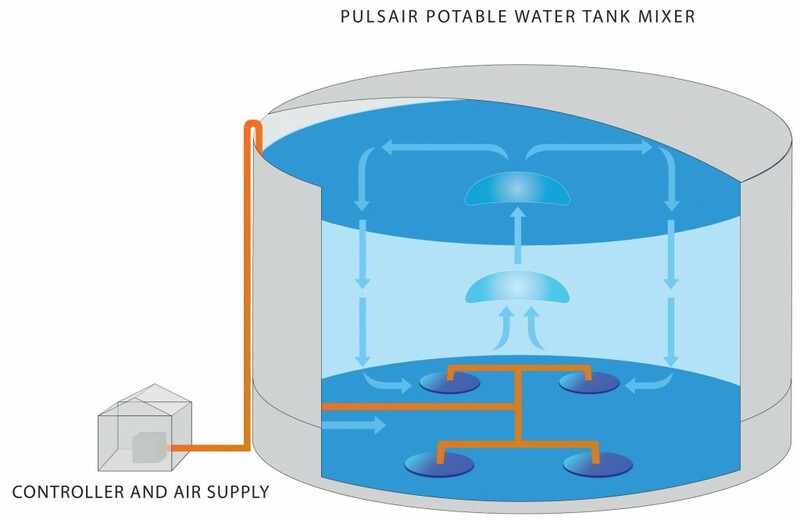 Pulsair Systems manufacturers an active water tank mixing system allowing drinking water utility operators to quickly mix their water storage tanks and water reservoirs. Regardless if they are being filled or not, Pulsair’s powerful, efficient and NSF approved submersible mixing system requires zero in-tank maintenance and mixes all the water very quickly. Unlike inefficient passive tank mixing system that sort of mix the water – but only during the filling phase, the Pulsair active tank mixer uses large compressed air bubbles periodically released at the tank bottom. The large bursts of pulsed air allow for powerful hydraulic mixing to occur and uniformly blend 100% of the water in the drinking storage tank in minutes. Pulsair is the industry leader in energy efficient, large bubble mixing and active tank mixing systems. 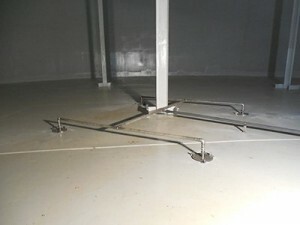 The Pulsair active tank mixer can installed in any size tank or reservoir regardless of it’s geometry.